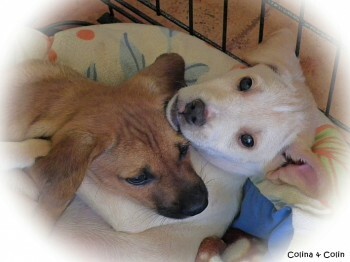 Cute Javea Puppies For Your Family ? Are your kids begging for a puppy? Would you like some memorable awwwwwwwwww moments with a new little member of the family or two? 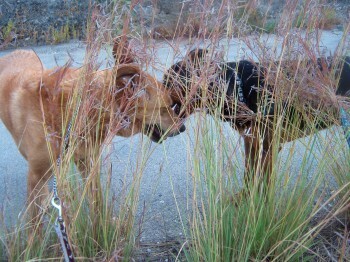 Have a look at these two sweetheart puppies from the APASA kennel in Javea. Adopting a puppy from APASA means you can come and talk to it first, so you know there is positive chemistry. The puppy will have had its vaccinations, a micro chip and European passport, health checks and blood tests. 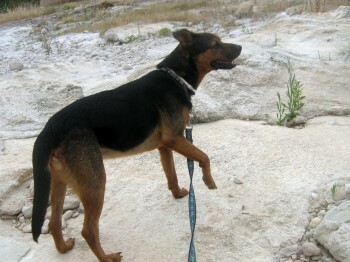 But more importantly, you get a lifelong loyal companion who will soon grow to love you! If you can spare an hour its a very small help to the local dog rescue. 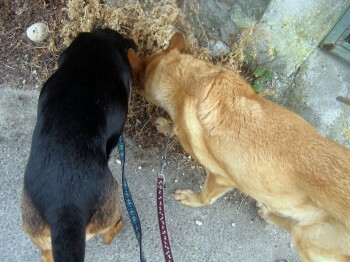 The dogs love the opportunity to get out and explore – and its good excercise as well. You can just turn up at APASA between 11am-1pm and 5pm-8pm and they will instruct you from there. With 230 dogs and very little funding, I suspect any help is appreciated at APASA. You can be a member for 20eurs, sponsor a dog for 25euros, adopt a dog if you would like a loyal companion – or as I did, simply go and take one for a walk. Have an Hour To Spare? Make a Dog Happy ! 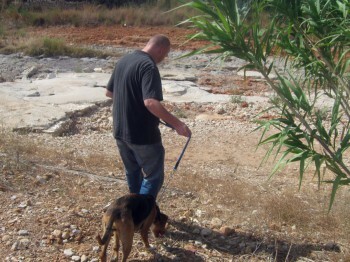 Many thanks for taking APASA dogs for a walk along the nature of Jávea. The dogs love to leave the doghouse, explore, run and play. If at all possible, please take a buddy or pals as many of the dogs share kennels. This means that some of the dogs struggle to ever get taken for walks out in nature, as their “room mates” quite simply get jealous, wouldn’t you in case you really fancied a walked and only your neighbor was picked to go? We now have become very creative with buddies, family members vacationing and this way we can get a lot more dogs desiring a walk in Javea out with friendly people happy to help, even if they are just here visiting friends or on holiday. Each dog walked creates happiness for a living being! We are confident that a majority of dogs have sweet dreams about getting out and play in nature or a park, to locate hidden treasure, explore the plenty of good smells and get some personal attention from the kind person walking it. They still find a way to enjoy coming back home to the kennel after, so don’t assume all doom and gloom – the dogs at APASA are well looked after, treasured by the hard working and dog loving staff and all their needs are met as much as humanly possible, but there simply are not enough hours in the day to fulfill every resident dogs dream of a run by the river or walk in the park. Each and every dog would delight in having some affection and cuddles and promptly go deep into this rewarding those showing them a good time with instant love and appreciation.